Eating these on everything at the moment. 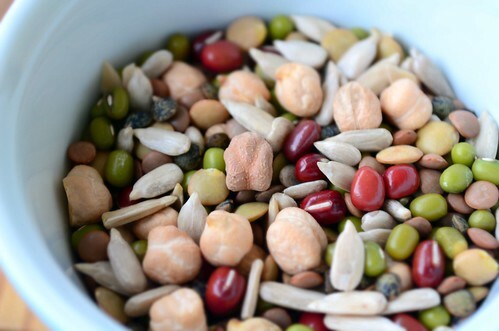 I’ve just started to do this-so high in protein and good for you! So good and so healthy. I’ve never tried a mixture like that before. I must give it a try if I can find them. Love sprouting seeds! And when you rinse them & pour the old water off, put it on your plants. There are plant hormones connected with sprouting that will make your other plants feel just spiffy. My roses bloom so well when I sprout seeds & pour the seed water over the rose roots. 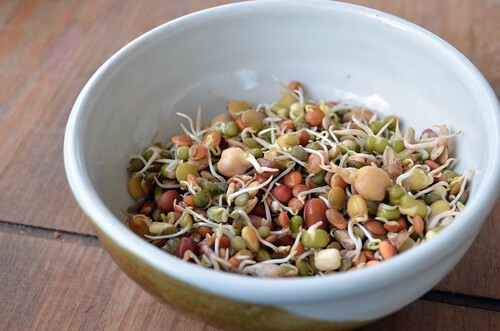 I love sprouted beans and seeds. I have a jar of them in my fridge at the moment. Love real food and I’ve just found your blog…will start ready afew more posts. that’s awesome! And they’re safe to eat without cooking?? I’m fascinated, realy want to give it a go.